Simonne is a registered Clinical Psychologist, with the Psychology Board of Australia and a full member of the Australian Psychological society. She has over 4 years of clinical experience in the both the private and public sector, providing assessments and treatment of a wide range of difficulties including developmental, learning, emotional, behavioural and attention difficulties. Specifically, Simonne is experienced at treating a range of childhood problems such as anxiety, depression, obsessive compulsive disorder, oppositional behaviour, emotion regulation difficulties, sleep difficulties, anger management and social skills difficulties. Simonne has a long held interest in autism spectrum disorders (ASD) and her PhD focused on understanding the relationship between sleep and behaviour in children and adolescents with low functioning autism. She is trained in the assessment of autism spectrum disorders using the ADOS. 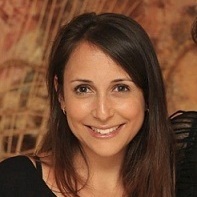 Simonne is skilled in a range of therapeutic techniques and parenting programs. She has had experience providing individual, group and family based interventions and has training in Cognitive Behavioural Therapy, Acceptance and Commitment therapy, as well as other evidence based programs such as “Triple P Parenting” and “Cool Kids” anxiety program. Simonne enjoys working collaboratively with parents, teachers and other professionals to ensure children get the best results in therapy. Alongside helping children, Simonne loves to run half and full marathons and has travelled to every continent other than Antarctica.